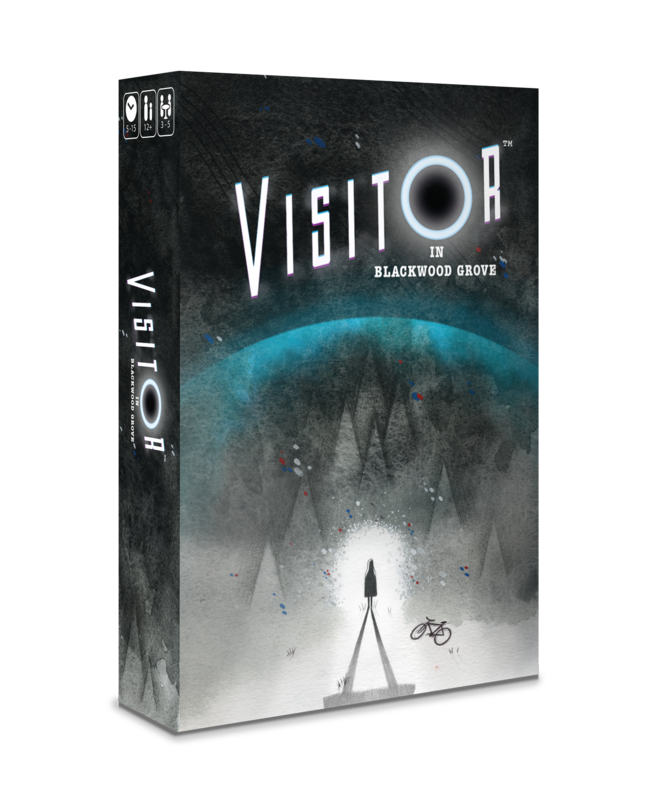 17 July 2017 (Hanover, NH) – Resonym launches its second Kickstarter campaign for a new tabletop game, VISITOR™ in Blackwood Grove, July 25th. VISITOR in Blackwood Grove, the newest game from the makers of the acclaimed board game MONARCH, is coming to Kickstarter to seek funding on July 25th. Designed by Mary Flanagan, designer of MONARCH, and Max Seidman, designer of Mad Science Foundation. VISITOR is a family game of puzzle solving, reasoning, and strategy for 3-5 players that takes 10 minutes per round. With a unique asymmetrical mechanic, VISITOR mixes elements from the classic rule-making games Mastermind and Zendo with the strategic appeal of newer family games such as Dixit and Codenames. And of course, the game has a mission: it was designed to encourage inductive reasoning and scientific thinking! The game’s scenario: A spacecraft crashes in Blackwood Grove, and the Kid is the only one watching. Federal Agents hunt down the signal, but no one can get near the craft due to its crushing forcefield. Why can some objects pass through it, but others are repelled? Hiding in the craft, the Visitor hopes the Kid can figure out the rule before the Agents and help it escape. Experiment with what can pass through the forcefield, figure out the rule, and reach your goal. VISITOR is a unique puzzle game where the players create the puzzle. The Visitor makes up a secret rule such as, “Things that contain metal,” to determine which objects can pass through the forcefield, and the Agents and the Kid try to figure out the rule by seeing which objects pass through the forcefield and which don’t. The Agents secretly test cards from their hands to learn what passes or doesn’t. The Kid tries to predict which cards will pass the rule, building trust with the Visitor if right. If the Visitor makes a rule that’s too easy, the Agents will solve it first and the Visitor and Kid will lose. If the Visitor makes the rule too challenging, none will be able to solve the puzzle. If the rule is just right, the Kid might figure it out before the agents, and the Visitor will stay safe! Once successfully funded, VISITOR in Blackwood Grove will sell for twenty dollars. Kickstarter backers can back it for only $17 with free shipping in the United States. During the campaign, backers will have the opportunity to influence the names of the characters in the game, and to unlock visual and gameplay upgrades via stretch goals. The game will be available for demo at Gen Con in August. Backers will receive their games in Q4 2017, and the game will be available to the public Q1 2018. VISITOR will be Resonym’s second Kickstarter campaign, and its first since Monarch’s 2015 success. 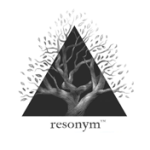 Resonym is Mary Flanagan’s woman-led game publishing group. Resonym works with women artists and designers to make artistic and engaging experiences—games, stories, and more. VISITOR in Blackwood Grove embodies the Resonym team’s values. Women are prominently featured in both the game’s cast of characters—the Kid and the Agents are women—and in the game’s development team: designer Mary Flanagan and Illustrator Maggie Chiang. Resonym is working with its printers to make sure that VISITOR meets or exceeds Consumer Product Safety Commission guidelines and receives full safety testing by accredited laboratories. Resonym is conscious of the impact that games can have on their players. VISITOR was designed to model and promote scientific thinking: the vital process of making hypotheses and then devising tests to attempt to disprove these hypotheses. Click here to visit the VISITOR in Blackwood Grove Board Game Geek page. Click here to visit the VISITOR in Blackwood Grove entry on the Resonym website.